As in previous years, the gamers‘ magazine FAIRPLAY organizes its popular and successful "Scout Voting." 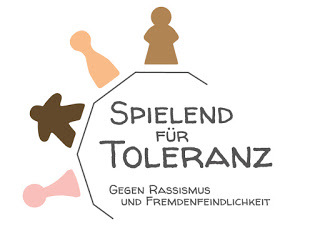 A lot of gamers trust this voting as a basis for their decisions which games to buy during the Essen fair and use it as an important guidance through the mass of new games. At hall 10, booth 47, our subscribers and interested gamers can vote and give their ratings. Throughout the fair, we will regularly publish the results at our booth. On Sunday, 2pm, the final result and this year’s winner will be known. The daily results will be published on our web page - the traffic on our page shows the huge interest in our poll. For doing the "Scout Voting" we need your help. We kindly ask you to send us – if this has not happened yet – the list of your new games that debut in Essen to make sure your games are on our list given to the scouts. We need the following information: Title of your new games as well as your booth number in Essen. If you are a distributor for games of other editors, please do also send us the information about these distributed games. Please send us your reply to scoutaktion@fairplay-online.de until Sunday October 17, 2010. We kindly ask for your understanding that any information that is sent later can’t be considered. We would like to inform you that we also do neither consider recent reprints of games (e.g. no German editions of games that debuted last year in their English edition) nor expansions or children’s games.